Oh, Colorado! You sure know how to make a celebrity feel welcome. 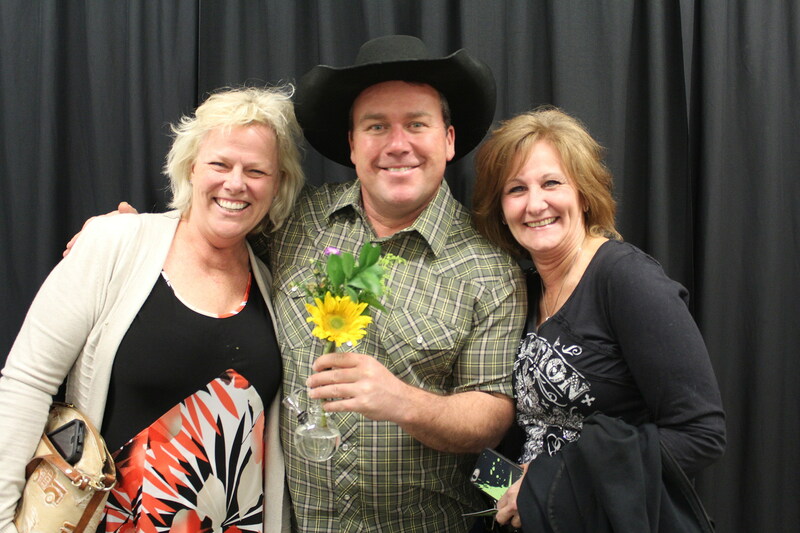 A couple ladies brought Rodney Carrington a gift to last night's show (Jan. 29) and we can guarantee it would only happen in Colorado. 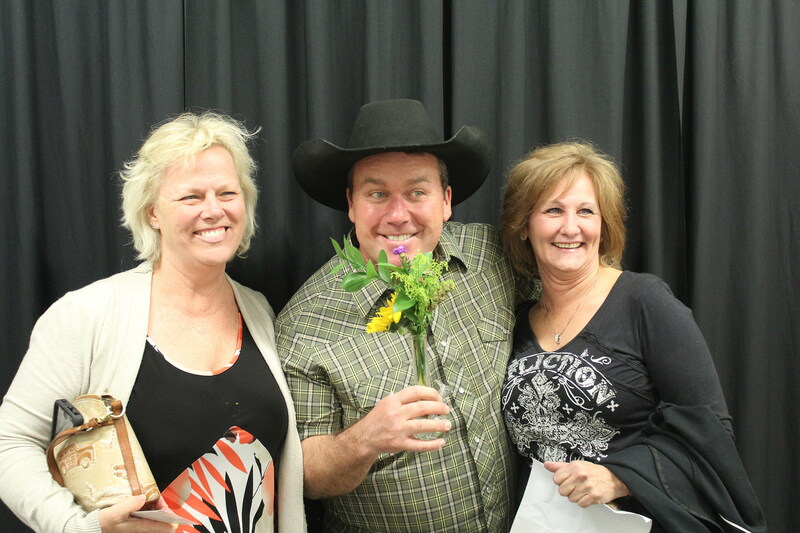 During the meet and greets between shows, a few lucky audience members had the chance to meet Rodney. They shared stories, he signed autographs and a couple ladies gave Rodney a special Colorado gift. See the flowers, that's the gift. There's a yellow one, a pink one, and some "green" decorative stuff. Not only were the flowers special to Colorado, they also gave him a special vase. It was the strangest vase too, looks like there's a place to put a little flower. These two giving ladies were grinnin' from ear to ear, too. Probably from the excitement of giving such an awesome gift.